Hold on to your $10 toast, avocado fans. The farms behind of one of America's most in-demand foods have been hit hard by a one-two punch of unexpectedly terrible weather and shipment-halting labor issues. California’s epic earth-scorching drought has taken a vicious toll on farms from Baja to Mendocino, and most recently, Mexican farm workers went on strike, affecting both the harvest and export of the savory fruit. As a result, avocado prices have skyrocketed, jumping from roughly $30 dollars per case to $80. 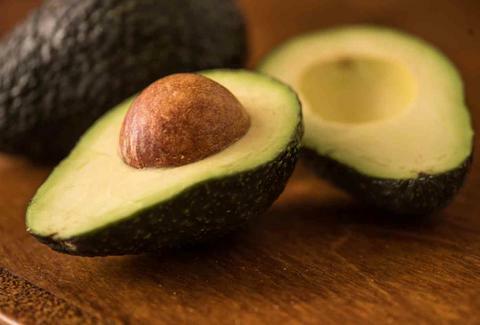 According to the Hass Avocado Board, that means outside of avo-rich California or the avo-adjacent Deep South, you’re looking at $1.10-$1.50 for a single conventional avocado. And for organic, prepare to fork over upwards of $2, regardless of where you do your produce shopping. The national average retail price during the same quarter in 2015: $1 for conventional, and $1.40 for organic. Yikes. While the jump might not seem astronomical from a consumer standpoint, that’s only because stores are doing everything they can to keep their stock as cheap as can be -- an unsustainable solution to say the least. But ordering that extra scoop of guacamole from your favorite taco joint might be a different story. In LA, for example, statewide Mexican restaurant chains like Del Taco and El Torito have been running completely out of the green dip. And that’s not even counting mom-and-pop joints with much, much tighter budgets. "We've been out of guacamole for four days now," Abigail Alfaro, a neighborhood taco shop manager in San Diego, told CNBC late last week. "Hopefully we will get some avocados soon." With America’s growing obsession with all things avocado -- including, for some reason, turning the stuff into burger buns -- we’ve got a full-blown shortage on our hands, folks. And while the long-term effect is tough to predict at this point, we’d suggest you start chowing down on those precious guac fixins sooner rather than later. And, hey, who knows? Maybe this Super Bowl Sunday, queso dip, that severely underrated Velveeta and Rotel melt-baby, will finally make the comeback we’ve all been waiting for. Meredith Heil is a staff writer for Thrillist. 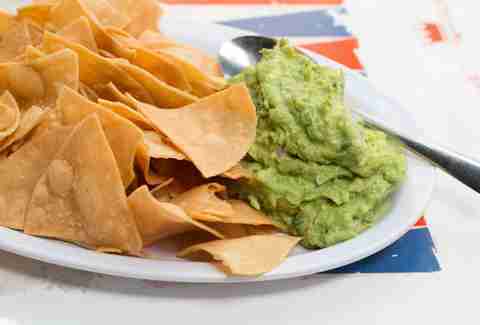 When she says she's 'bout her guac, she don’t mean -amole. Feels like she's being watched -- she don’t mean a Rollie. Commiserate with @mereditto.